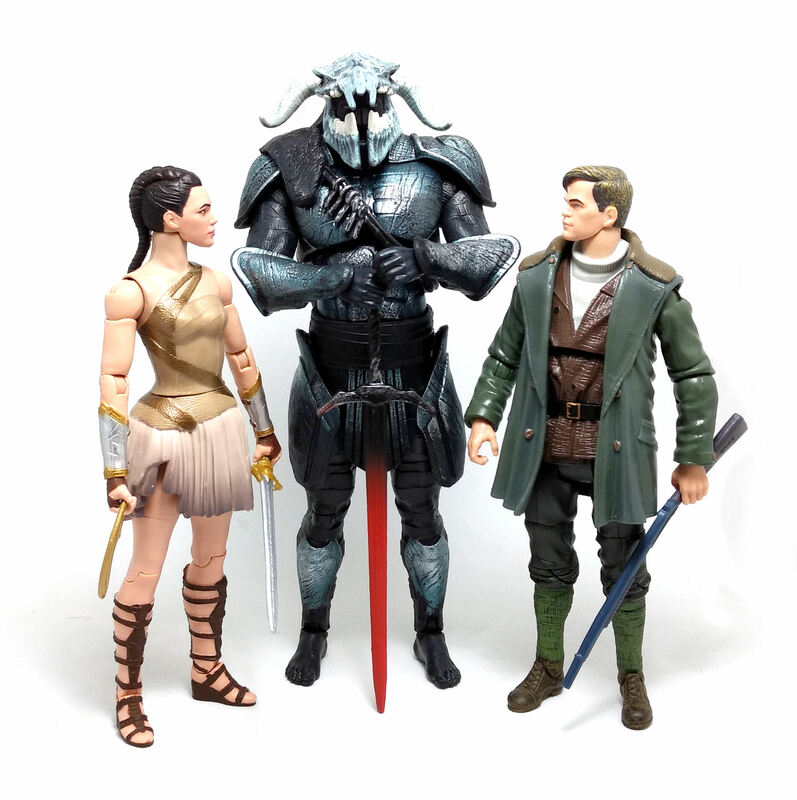 It is a deviously crafty move on the part of Mattel to make the main antagonist from the successful Wonder Woman movie available only as the Collect & Connect bonus figure in the corresponding DC Multiverse assortment, where each of the characters in this wave came with at least one piece to build Ares, whom is a character large enough to justify the C&C treatment. 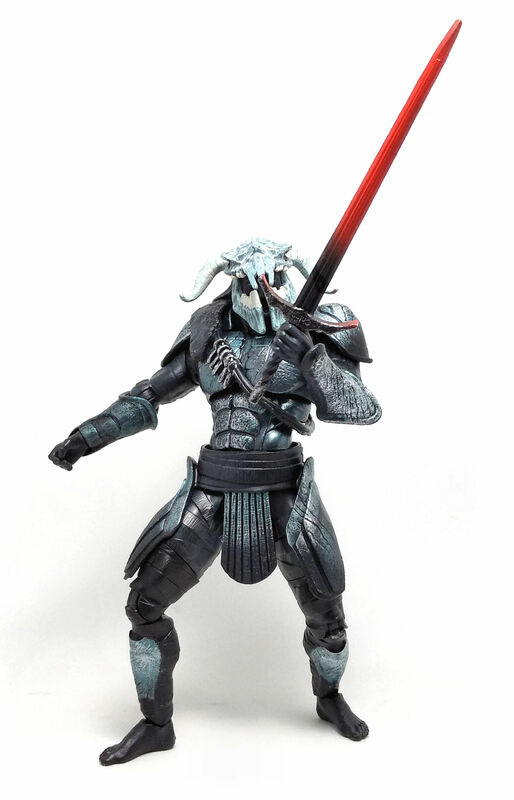 However, this version of Ares is not quite the version we saw in the movie, but more on that later. 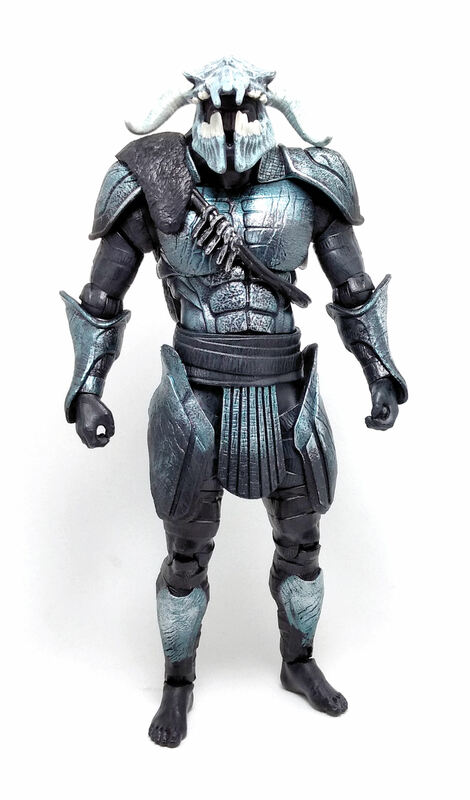 The basic buck is a retooled version of the one used for large humanoids in the DCUC days, with lines etched onto the body under the armor attachments. The armor is designed to evoke those seen on ancient classic Greek carvings and sculptures, although it also mixes influences from previous and later historical periods. The body armor pieces are made from flexible plastic and glued onto the body. 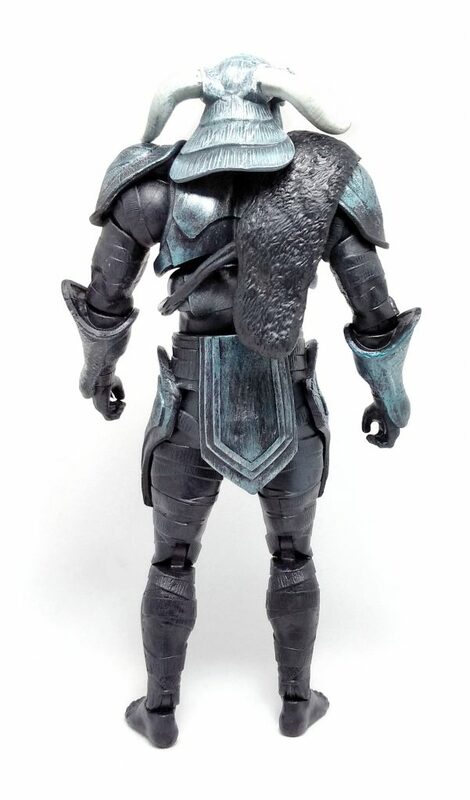 These armor plates look suitably pitted and worn, while Ares’ helm appears to be made from the skull of some large mythic beast (a dragon, Maybe?). While a few of these points of articulation are redundant in function, the overall scheme allows for an ample number of posing options. However, a few of them also are a little loose, making simple things like holding the sword on high more difficult than it needs to be. 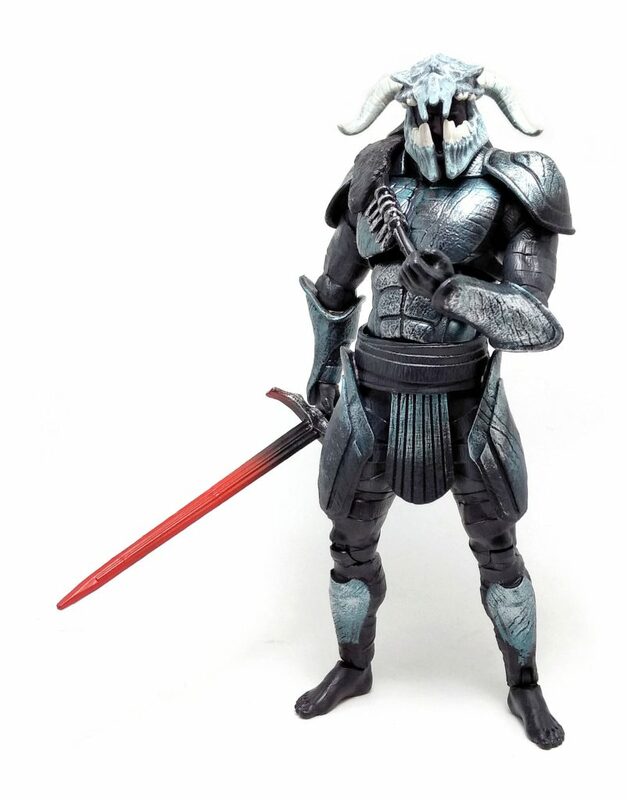 In the movie, Ares’ true form is depicted on the red-hot metal spectrum of colors, while on this figure they went for a much colder hue. 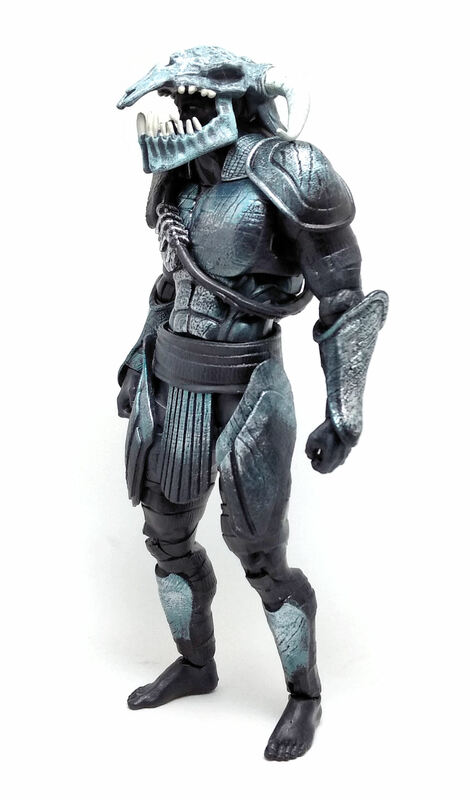 The figure was molded in a very dark, yet-not-quite-black, brown plastic, while the metallic armor plates were highlighted with a silvery blue color with a shading wash added on top to tone it down. 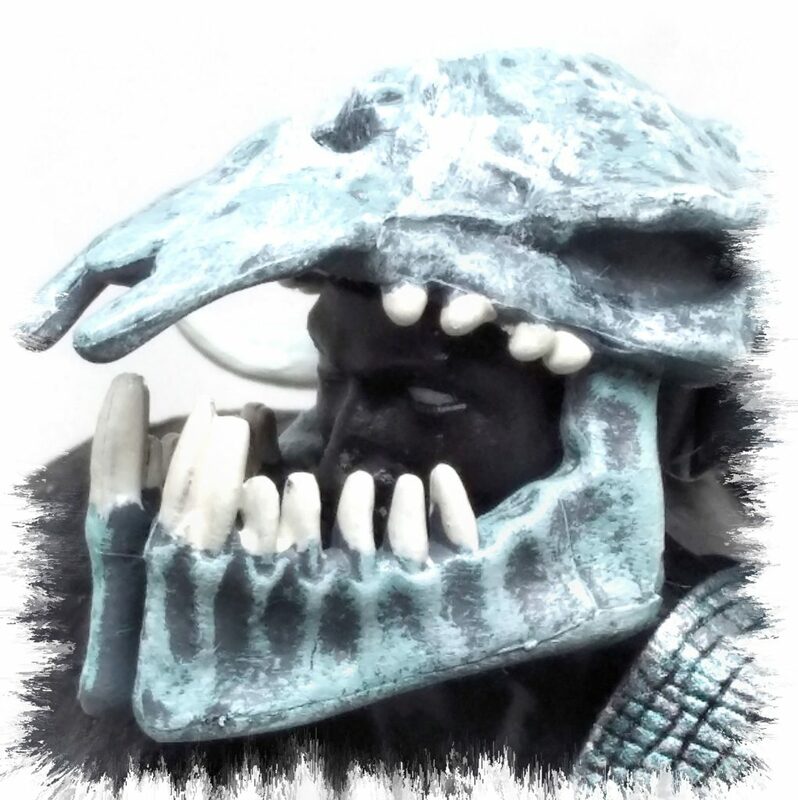 Ares’ helm was also painted in a light blue color with white highlights and a shading wash applied to it. Inside the helm, it is possible to make out the solid white eyes painted on Ares’ face. On Ares’ sword, Mattel went on a different direction in terms of decoration. The weapon was molded in a dark plastic color, but the blade is painted bright red, with a subtle gradient fading towards the base of the handle, which is highlighted in the same silvery blue color used for the armor. Ares is a pretty impressive bonus figure, although I find it a little disappointing that this particular version is not the one we see in the film, or the classic version from the comics.